• Karst is a surface and subsurface landscape that has developed over millions of years where soluble carbonate bedrock is dissolved by slightly acidic rain water. Karst is characterized by distinctive surface features (“epikarst”) including sinkholes, grikes, disappearing streams, and karst springs that connect through its dissolved cracks and fissures into extensive underground systems–including nutrient-rich streams, lakes and caves. 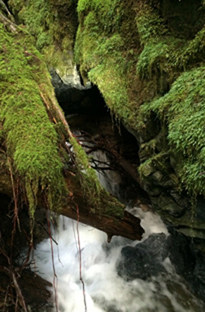 • The surface of karst is infilled by glacial deposits, erosion, and decomposed organic materials which support productive forest ecosystems; subsurface karst includes moist caves with cool stable environments and nutrient-rich aquatic systems. 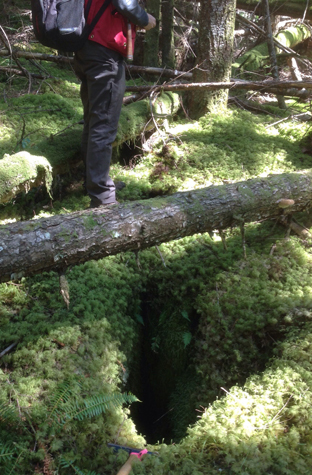 Karst’s thin soils and hydrological systems are easily damaged by above-ground soil disturbance. • The karst landscape provides different habitat niches and microclimatic conditions both on the surface and underground. Karst supports a range of dependent species, including rare plants that favour the calcium-rich nutrients, cave invertebrates, salamanders, frogs, bats, and potentially significant microbiological biodiversity. DIEM has mapped Kars pale turquoise in the Sensitive Ecosystems Mapping. 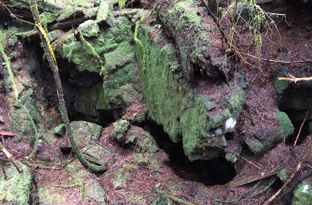 Karst landscapes in BC, which may underlie up to 10% of the province, have not been extensively researched. 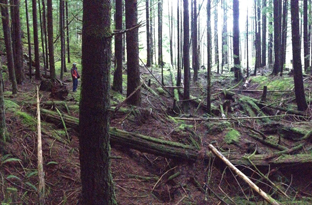 In the Discovery Islands, karst areas are identified on Quadra Island as a linear zone that is about 15 km long and 1-2 km wide, extending southeast to northwest from Open Bay to the Lucky Jim area. 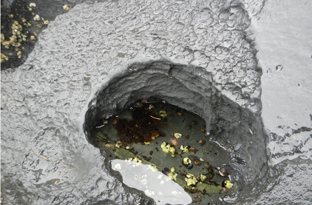 Small areas of limestone may occur elsewhere in the Discovery Islands, however no other karst areas have been reported or mapped. 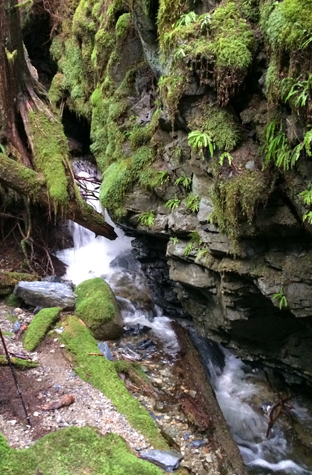 No specific karst inventory has been carried out in coastal BC, so no indicator plants or subsurface fauna are identified. However, a range of cave invertebrates, some new to science, have been noted. They include beetles, amphipods, crickets, and harvestmen (arachnids). 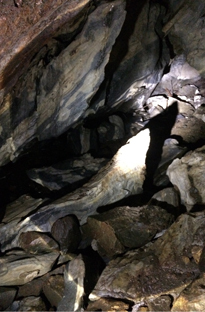 The mineral deposits and sediments found in caves can also provide scientific information about ancient flora and fauna, human activities, glaciation, and other climate changes. Karst is known worldwide for its valuable ecological, scientific, and recreational values. 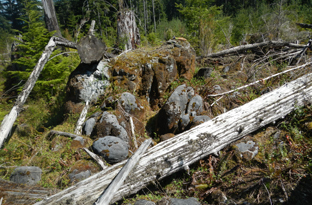 Karst requires careful consideration for its protection and management: caves may take hundreds or thousands of years to recover when other karst features are impacted by logging or land development. 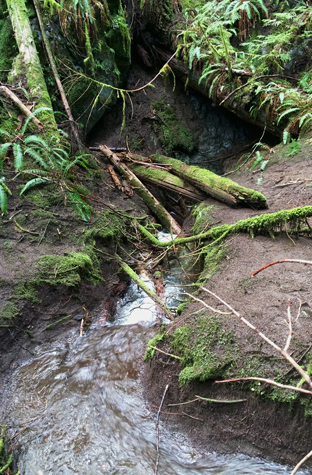 Any activities in karst areas that involve vegetation or soil disturbance should include a holistic inventory and assessment, with particular concern and care for the karst vegetation-soil system and the quality and flow of groundwater recharge. WHEN YOU EXPLORE walk carefully! Remember that karst has the thin soils that are easily damaged, and muddy water negatively impacts subsurface karst features and functions. Several rare plants are endemic to karst, such as orchids. 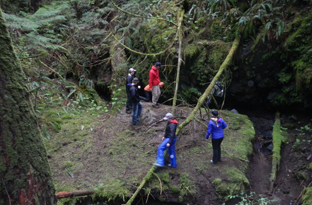 Regionally two fauna are known to be at risk: Keen’s Myotis bats (red listed) and the Quatsino Cave Amphipod (blue listed). Indicator plants and subsurface karst fauna may be identified when local inventories occur. Karst dependent species are unusual. • Troglobites: evolved to live exclusively in total darkness and stable temperatures in underground environments, e.g. remnant invertebrates that survived last ice age. • Troglophiles: are species capable of living in this habitat or out of it. Some individuals may choose to live entire life cycle in Karst habitat g. species of salamanders, spiders, crickets. • Trogloxenes: use Karst habitat for specific purposes but not entire lives e.g. bats.